The Indian government proposes a draconian forest law to take land away from indigenous people. As the election season is on us in India, there have been some disturbing developments going on in the country, chiefly led by the Bharatiya Janata Party (BJP), the party in power currently. More or less confident that they will return to power, the party is preparing for a second round – and trying to gain control over resources that were somehow not completely taken over already during the last five years. The revision of the colonial-era Indian Forest Act 1927, with more draconian amendments, is one such step, with the goal being to gain control over Indian forests. If the BJP comes to power again, the bill may get passed in India’s parliament. That a majority of the Indian population cares so little about indigenous peoples and the forests that this is not an issue the BJP would be dealing with during election season is another concern, but let’s see what the bill’s passage would mean for India. 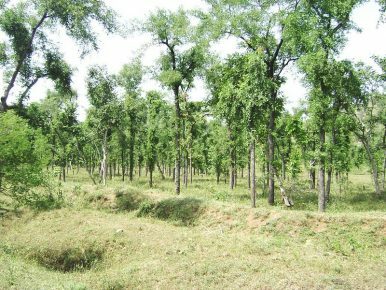 In practice, the Forest Department of India, which enjoyed great deal of impunity under Indian Forest Act 1927, systematically refuses to accept the Forest Rights Act (FRA) 2006 in practice even 13 years after it was introduced. That notwithstanding, at least the indigenous people and forest dwellers had a chance at legal recourse. The current government, with the proposed bill, will make the lives of indigenous people worse than under Indian Forest Act 1927, which, to start with, was introduced by the British in colonial times to exploit Indian forests for their resources, which were useful in running the vast empire and its wars. First of all, it will be a moral battle for the government to explain why it is trying to overhaul an extremely regressive law, which should have been repealed anyway. A Delhi high court lawyer who requested anonymity noted that “while it is perfectly legitimate to bring notifications to an existing law, you cannot bring revisions to the older law on the same subject.” So, even the legality of it seems to be in question. While the Indian Forest Act 1927 made British rulers and later the Indian government the owner of the forest lands, the BJP has now introduced extremely punitive actions against the real owners, i.e., the indigenous people. The government officials and even armed forces have protection of the government to take action – even an armed response – against indigenous peoples and other forest dwellers. The officials are safe from prosecution: the similarity of this clause with Armed Forces Special Protection Act (AFSPA) is uncanny. The AFSPA is a law enforced in undeclared conflict zones in India, giving power to the armed forces to investigate and kill without the fear of prosecution. In the proposed bill, the onus to prove innocence has been shifted to the accused. The crimes associated with forests and indigenous peoples could be an easy guess – for example, resisting the takeover of forest land for mining and other such purposes. Even entire villages could be held guilty and punished if the government feels they are not cooperating. The role of gram sabhas – village committees – which had the decision making power under FRA, has been dissolved entirely. The final right of call lies with the Forest Department. Basically, the indigenous people are going to be completely at the mercy of the government, without any real rights or agency. Given the conditions that are being constructed, it seems inevitable that they will be compelled to leave their forests and become a part of the large cheap labor pool – forced to live a life without basic sustenance, security, or dignity at the margins of big cities. Even more astounding is the fact that the central government can rule over the state governments if they do not agree how their forests should be used – clearly not in the spirit of the federal structure of India. The central government, ideally, should not be interfering in how the states deal with their resources. Just a few weeks ago, the government released 170,000 hectares of pristine forest land in Chhattisgarh – a central Indian state – for a private coal project of Adani group, one of the biggest corporations in India. Consider that the Adani group has been severely criticized for a proposed coal mine in Queensland, Australia, and the project hasn’t been able to take off. It is astonishing that India takes no consideration of environmental concerns and gives away pristine forest land to such a company. With the proposed bill, not even an inch of forest in India is safe. Forest rights activists in India think that this struggle against the proposed bill will bring the minorities together, i.e., the indigenous people and other forest dwellers, who are usually Dalits. While that is still to be seen, sharing natural resources where the forest dwellers already didn’t have many rights over the land has only strained their relationship in the past. The chances of tensions getting worse are much higher, given the historicity of the problem. Currently, despite the FRA explicitly giving them rights over forest produce, the indigenous peoples face problems with the Forest Department officials on a regular basis, but with the proposed bill, they stand to lose the land – and their lives. Activists are expecting a long drawn blood bath in Indian forests. Parul Abrol is Roving Correspondent with Firstpost, reporting on Northeast India. Views are personal.